Clean CARFAX. Features Include: AWD. Odometer is 45337 miles below market average! 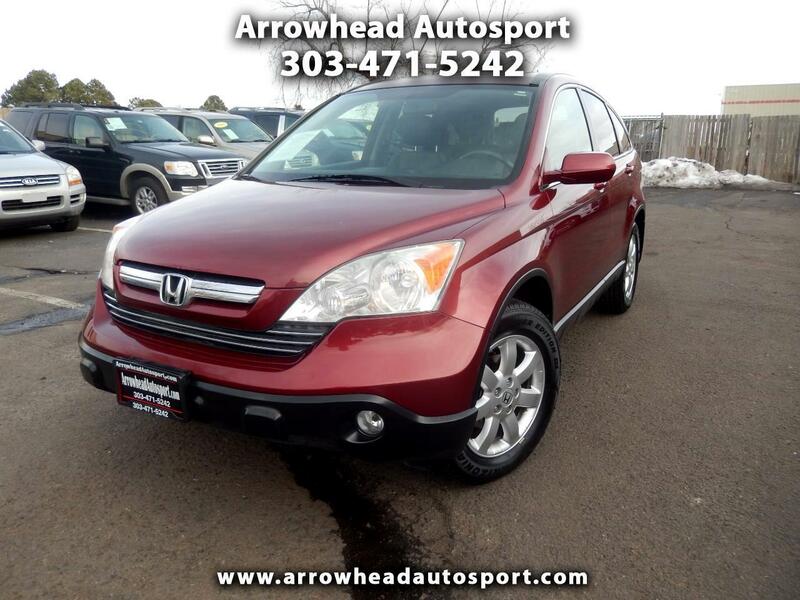 22/28 City/Highway MPG Come see our specials at www.arrowheadautosport.com Call us today at 303-471-5242! We have a 5 of 5 Rating on Dealer Rater!!! We have 4.7 Rating on Car Gurus!! You know to get scores like that We Put You First At Arrowhead Autosport!!! Reviews: * Few vehicles do as many things as well as the CR-V. As practical as a backpack, this benchmark crossover is an easy, one-size-fits-most car choice. Source: KBB.com Awards: * 2007 KBB.com Best Resale Value Awards For more information, visit www.kbb.com. Kelley Blue Book is a registered trademark of Kelley Blue Book Co., Inc.